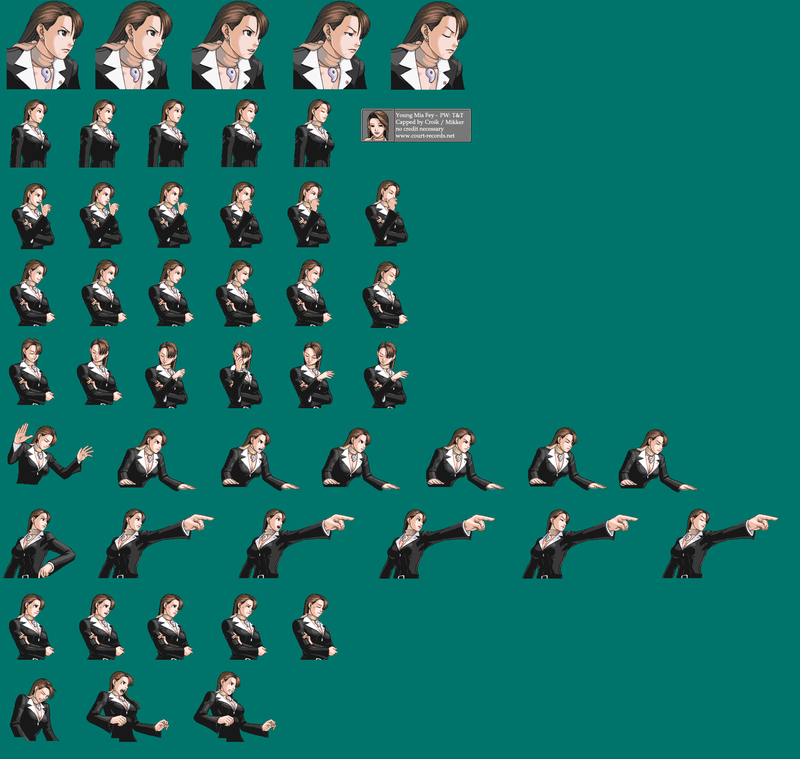 The Animations pages contain sprites taken from the Ace Attorney series. 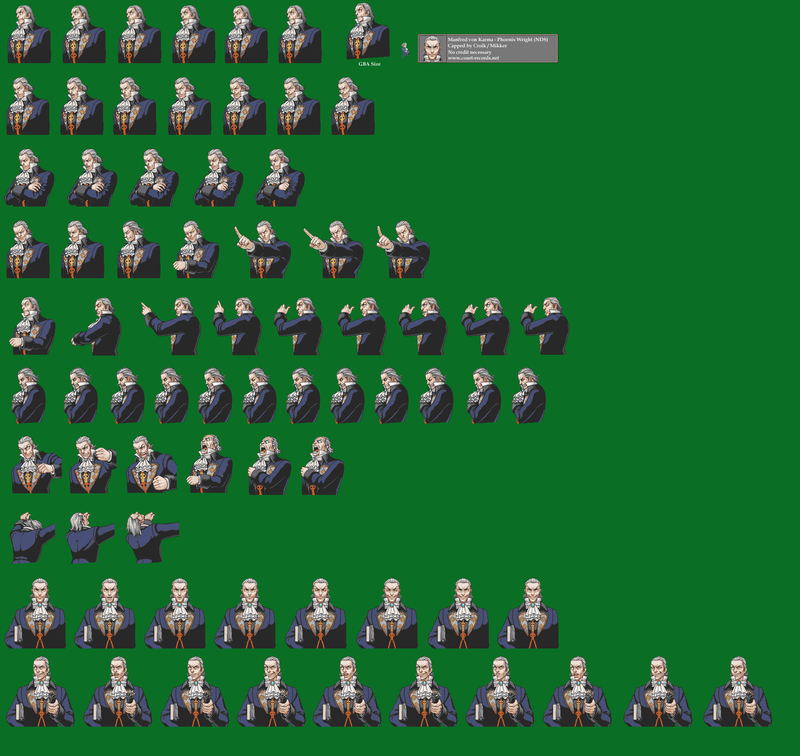 Most of them were extracted directly from the games and are about as accurate as they can get. 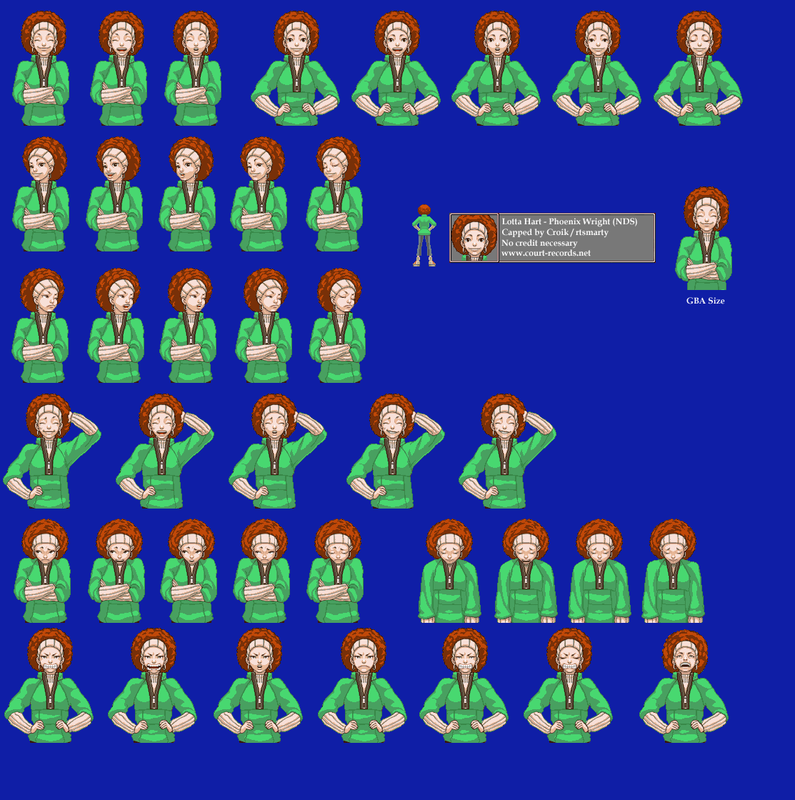 Scroll down to view the various contributors. 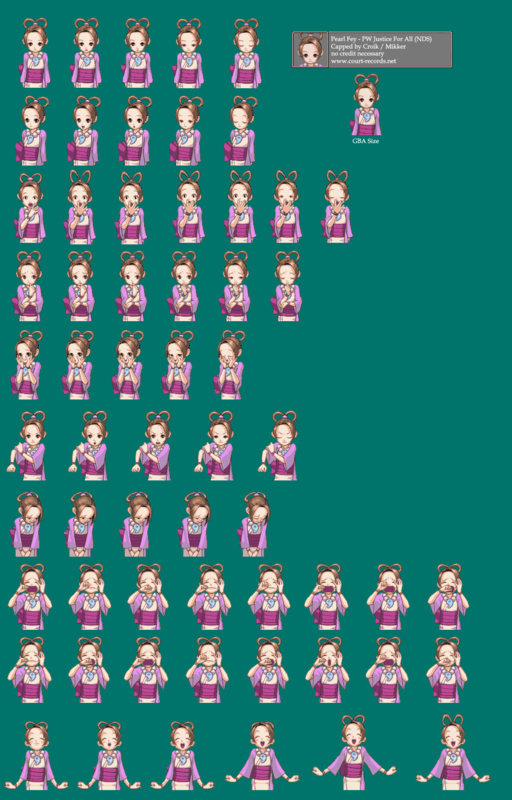 The Zips and Sheets are COMPLETE, and thus, have SPOILERS. 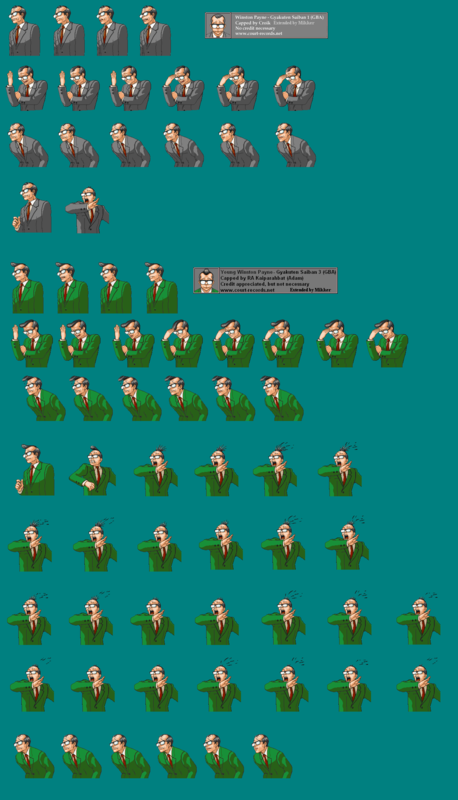 The gif pages have spoilers hidden beneath a tag for safe viewing. IF YOU ARE WARY OF SPOILERS, DO NOT CLICK ON SHEETS OR ZIPS. This is a free use archive. Credit is appreciated but not necessary. 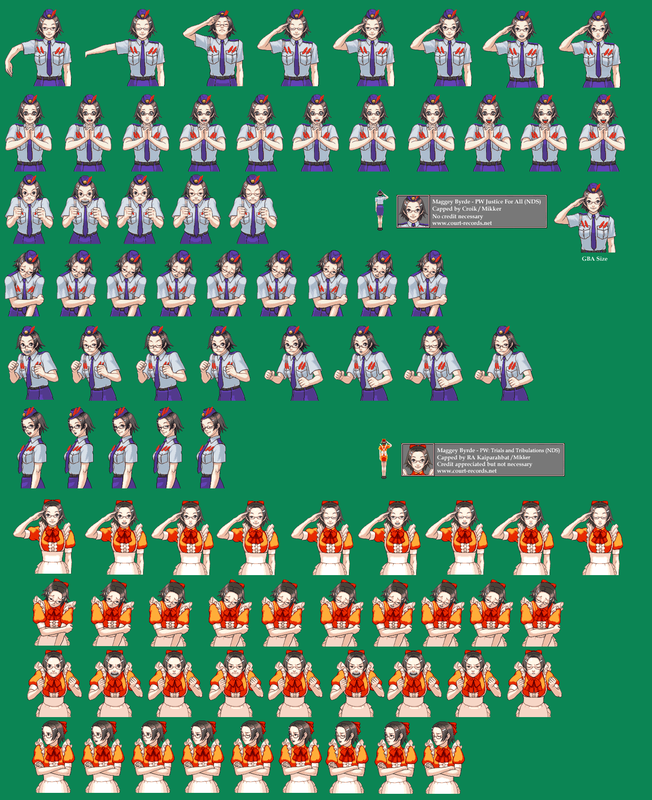 Feel free to save these sprites and use them in fancomics, fanvideos, avatars, etc. 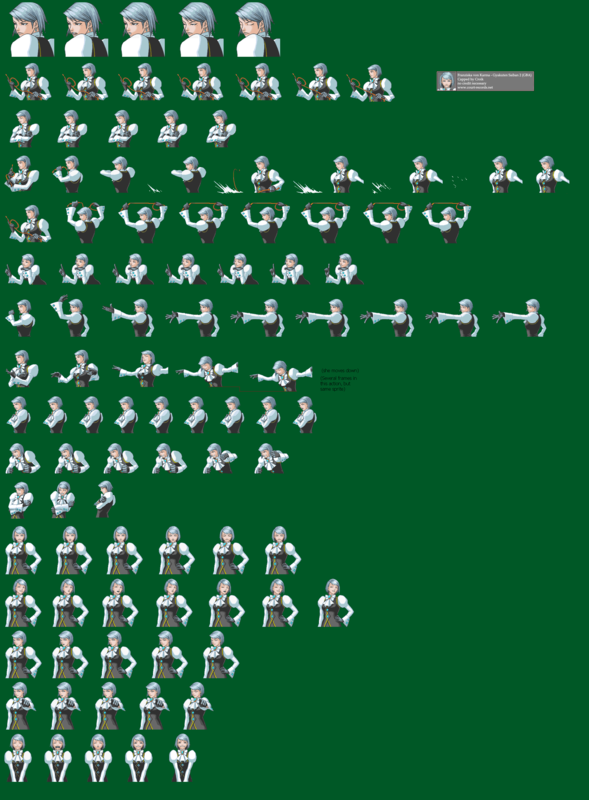 If you'd like to contribute a sprite animation, email Croik at courtrecord @ gmail.com. 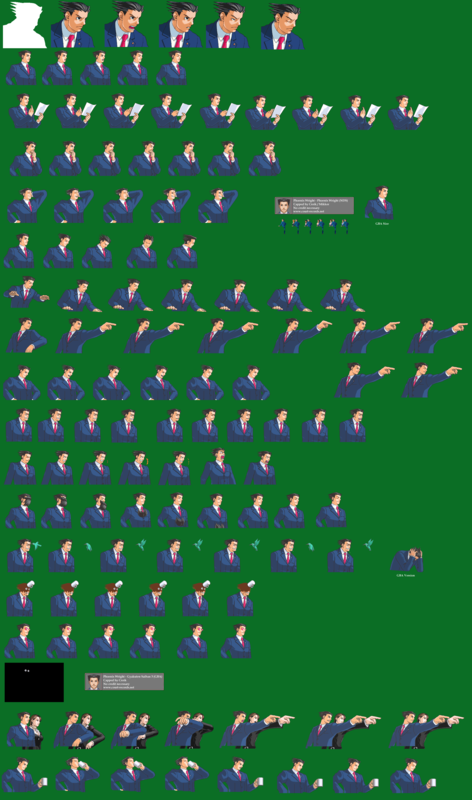 Please note that for this archive I've made all sprites on a transparent background without text or background images, and would appreciate submissions in the same format. Please also keep in mind that this is a free use archive. I'll credit you on this page for anything you submit but after that it's open season! Don't submit if you're stingy!